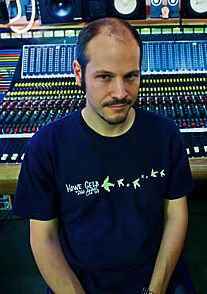 Ali Chant is an English record producer, engineer and guitar player. Originally from London and based in Bristol UK. He started out as guitarist and song writer for Bristol band Actual Size, who were signed to Gut records in 2001. Ali recorded the demos that got the band signed and the group went on to spend a portion of their recording advance, building their own studio in Bristol. Known as Toybox Studios, and based in a vaulted Georgian basement in the St Pauls district, it was a popular independent studio between 2003 and 2016 when it moved to a more comfortable space where Ali continues to work. Notable artists Ali worked with at Toybox were PJ Harvey, Mark Ronson, KT Tunstall, Gruff Rhys, Perfume Genius, Youth Lagoon, M Ward, Gravenhurst and Giant Sand. Ali became an in demand producer and mixer after a number of years engineering for producers such as John Parish, Adrian Utley and Tim Friese-Greene. Ali Chant’s main instruments are guitar, bass, vocals, percussion and keyboards, he is also renowned for working with predominantly analogue equipment. He played guitar in the Bristol band Termites between 2003-2010 and also occasionally plays with Adrian Utley’s guitar orchestra, he has appeared as a musician on various projects. Ali has also worked as composer, mixer and music supervisor for film, television and computer game soundtracks.